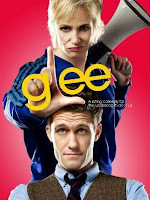 Must-Watch Network Television: Glee, Wednesday 9 p.m. (ET/PT) Fox. This show is just getting more and more funny. From the great Jane Lynch and her unforgettable lines ("I never wanted kids. Don't have the time; don't have the uterus," and "I will not rest until every last inch of our fair state is covered in garbage. It's why I pay taxes. It keeps garbage men earning a living. So they can afford tacos. For their family.") to the spectacular song-and-dance numbers to the unrequited love between two teachers, you couldn't ask for more from this freshman breakout hit. 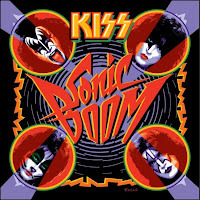 Must Have CD: Sonic Boom by KISS. KISS recently released a new album of all new material (their first new studio album in 11 years), and it is a must-have for KISS fans, as well as hard rock fans in general. The album's sound hearkens back to the original '70s KISS sound, and the band is back in full makeup, costumes, special effects, etc. Their latest tour is one heavy metal spectacle that can't be missed! Must-Read Novel: The Time of My Life by Patrick Swayze and Lisa Niemi. This autobiographical collaboration is a beautiful story of a boy and a girl, in love, trying to make it in the crazy world of show biz. As you read the book, you can hear Patrick's voice as if he were reading to you. And although Patrick was a superstar loved by millions, this book offers a glimpse into the life of the insecure, eager-to-please dancer who just wanted to make something of his life. Boy, did he! Must-Buy DVD: In Bruges. I know this has been out for a while, and I have seen it a half-dozen time since its release, but it bears mention: In Bruges is one of the best movies of 2008. Starring Colin Farrell, Brendan Gleeson and Ralph Fiennes, this dark, dark comedy about hitmen, life, death and a boring city in Belgium is the smartest and most enlightening movie I've seen in ages. Colin absolutely shines, Brendan is amazingly charming and Ralph is spectacular (as usual).